Following on from last weeks blog this week we are going to discuss as how both being Muslim British women we DO NOT promote nor do we tolerate terrorism in the name of Islam and Most importantly we do not support ISIS. Since last weeks blog there has been so much that has happened in terms of attacks that have been carried out in the name of Islam. Today we feel just as strong as we did before. “Islam teaches us to respect, mercy, peace and kindness, a faith we strongly believe in and one we want to protect from radicals and fanatics whose very existence threatens our religion”. From Leytonstone to Paris, such hashtags trending on Twitter give comfort to peace-loving Muslims, creating a global alliance of coexistence and solidarity. It is comments like these that aggravate hate against Muslims and Islam and since his comments celebrities such as Mohammed Ali and Will Smith have come forward to express their opinions. But what is truly driving our fear of ISIS? If we are, as many supporters of intervention contend, a world power, what limits our immediate, and absolute destruction of this virulent force? Some believe we are not only justified in destroying ISIS; we’re also imminently capable. Yet somewhere in this belief, we’re also inherently threatened. How can both be true? Along psychological lines, this could be called cognitive dissonance. Cognitive dissonance frequently refers to the mental state when one holds two contradictory beliefs, or is confronted by a something that immediately contradicts a belief. Our hegemony (or political power), for much of the last a hundred years, has been predicated on the United State’s ability to sway world events in our favour. Many people have postulated it’s ISIS’s religiosity that makes it so frightening; fighting in the name of God, these people will do anything to ensure their success. There probably is a psychological principle we can apply to zealotry. The message that we want to spread is that the very small percentage of extremist committing these murders do not represent the rest of the 1.6 billion Muslims who absolutely condemn killing and violence.This is the Muslims standing up in unity for what they believe in. And this is something we both strongly believe in. 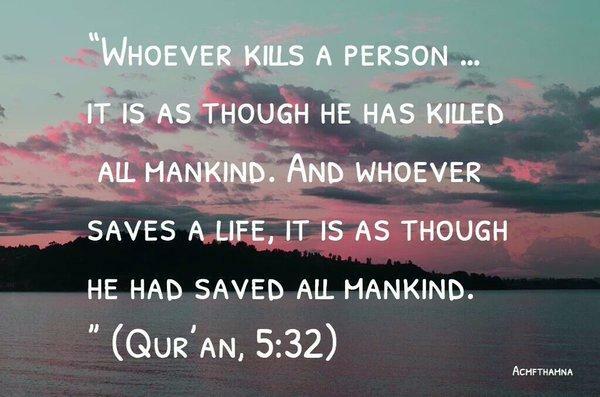 We should not be held accountable for the actions of those who carry out such atrocious acts in the name of Islam. We feel we are all being labelled under the same umbrella and to be quite honest we are sick of apologising and feeling like we need to justify being Muslims and believing in Islam. THE GOAL; IS TO ERASE ISLAMOPHOBIA AND DEMONSTRATE HOW A SIMPLE MESSAGE CAN BE SHARED, TO SHOW THAT ISIS MISINTERPRETS ISLAM. We want this message to be viral and to reach all corners of the world. We stand united against terrorism. 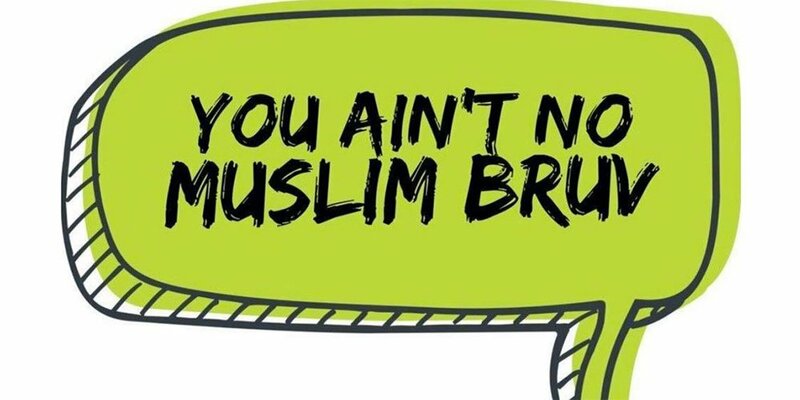 We do not promote terrorism and any attacks that have been carried out they are #notinmyname and certainly #youaintnomuslimbruv. This is our message to everyone let’s promote peace and harmony between everyone regardless of colour or creed. We hope our blog has given you some positive insight to the thoughts of Muslims in Britain and around the world. Can you imagine what it feels to be a Muslim in this day and age? We are open and welcoming you all to comment and like our blog. Hi this is our blog and we are Sobia & Uzma, we are British Pakistani Muslim women who are wanting to blog about something that is important to us. The definition – Dislike of or prejudice against Islam or Muslims, especially as a political force (oxford dictionary). “Offline and Online anti-Muslim hate crime experiences increase feelings of vulnerability, fear and insecurity between actual and potential victims”. (Dr Irene Zempi, Nottingham Trent University) . A Racist attack on a Muslim pregnant woman who does not speak English who is Moroccan and has only been in London for 6 months was subjected to a racially abused attack whilst travelling on public transport. We are both British Muslim women who were born and brought up in the United Kingdom. One of us wears hijab for her own personal reasons whilst the other one doesn’t. As a hijab wearer I definatly feel that since the attacks in and around the world that have been linked to Syria and Islam I feel more threatened that I must be condoning these attroscities because I’m a Muslim and I wear a hijab. The one of us who does not wear the hijab doesn’t feel threatened in the same way and has never come across any incident which has made her feel vulnerable at all. So what is it about the hijab that is coming across to non muslims that we support ISIS or are even “terrorist sympathisers”? We can see from the video that the jamaican woman showed traits of negative and hostility towards the victims, the victim was in a vulnerable position as she could not answer back as they did not speak the language. She later told an interperator that she was scared and anxious and with being heavily pregnant and having to stand throughout the ordeal she was upset as she could not understand what was being said (Dieseldorff). The abusers hostile aggression was motivated by her emotions to be hurtful towards the Muslim’s. She has shown instrumental aggression because her aggression was goal driven. “…a fixed, over generalized belief about a particular group or class of people.” (Cardwell, 1996). By using the words “ISIS” she was stereotyping all Muslims as ISIS and most likely because of the fact that she was wearing a hijab. This subject is something that is very important to both of us. Islamophobia does exist not only in Britan but around the world. Its a subject that is discussed in media every day. As individuals we are all entitled to our own personal opinion and views. Being Muslim we do NOT support that Islam is ISIS and that all Muslim’s around the world should not be labelled under the ISIS umbrella. There is laws and legislation that are in place to deal with such acts as you can see she was charged with the offence. No one should have to feel scared to travel in public or to to be out in public with non Muslims without having to fear from such racially attacked abuse. Just the same way no non-Muslims should feel that a Muslim will terrorise them in the name of Islam. The question we ask is “can you imagine what it is like to be a Muslim women amongst non Muslims?” who can honestly say that they do not see Muslims any different to what they saw them before ISIS, before Al-Qaida and any group who is killing in the name of Islam. Let’s wipe out islamophobia and work together to radicalise those who condemn such violent attacks.